Areon Flutes shared a post. 1 month 1 day ago. And best wishes for a happy new year! 3 months 3 weeks ago. Areon Flutes is with Cornelius Boots and Miyazawa Flutes. We took a break from a video shoot so that Kassey can demonstrate the special technique needed to play "Void of Day" by Cornelius Boots. "Like" or "Follow" our page to see the full video of our performance of the piece when it gets uploaded! Many thanks to Kris King for letting us use his space to record the video! 5 months 1 week ago. Look what we found in our archives! Did you know that Jill is a bass playing rock star? Here she is on a July 2008 cover of the Rockford Register Star!! 🤘 #tbt #flutistsrock #birdsandbatteries 6 months 1 week ago. Hi, Together with Yulia Berry, creator of “All About Flute” app and site, we founded a new International competition for the best performance of my awards-winning FLUTE CONCERTO, Flute and Piano reduction. Excellent prizes, judges, sponsors. Competition is by videos for flutists up to 35 years old. No need to memorize. Deadline for Application is October 1st. Then you have 1, 5 months (till November 15) to make a video. You also will see the List of sheet music sellers, and can buy CONCERTO as instant .pdf files. Please share this information among flutists you know. Sincerely, Eugene Magalif, composer, USA Here are Rules and all information: http://www.allaboutflute.org/emcompetition.html CONCERTO Performances with Orchestras: https://www.youtube.com/watch?v=1ANJ5ZIFpr8 (CONCERTO in Dnipro Philharmony) https://www.youtube.com/watch?v=lIat29WrADU&t=11s (CONCERTO in Lugansk Philharmony) 7 months 2 weeks ago. Recently hailed as one of the most memorable live performers of 2015 by the San Francisco Examiner, the award-winning Areon Flutes is an ensemble dedicated to the presentation of new music in a unique way. Now in their twelfth year, the core trio of Jill Heinke, Kassey Plaha and Sasha Launer make use of the entire flute family (including the “regular” C flute, piccolo, alto flute, bass flute, ocarina, slide whistle, and beyond), providing a fusion of sounds that can be at times soothing, melancholy, joyfully vibrant, or when used in a less traditional manner overtly dissonant, puzzling, fractured and otherworldly. Their innova debut, Thrive, features living composers Elainie Lillios, Cornelius Boots, and Mike Sempert. Lillios was Areon's 2014 International Composition Competition winner, and her "Summer Sketches" depicts the sonic landscape of the world of insects through extended techniques on the flute family. "Chthonic Suite" (Boots) takes the listener on a three-movement journey to the underworld with reflective, joyful and rocking moments. "Uncanny Valley" (Sempert) offers a glimpse into a future world of artificial intelligence and the struggle between synthetic and organic minds. Both Sempert and Boots were commissions from Areon. This is Areon's third release, and Areon Flutes are proud to be Miyazawa Artists. "I could be dismissive of this skill and say it's clear they've have 10 years of playing together, but it's more than that: they are all incredibly nimble, sensitive flutists who are truly making great art as Areon Flutes. 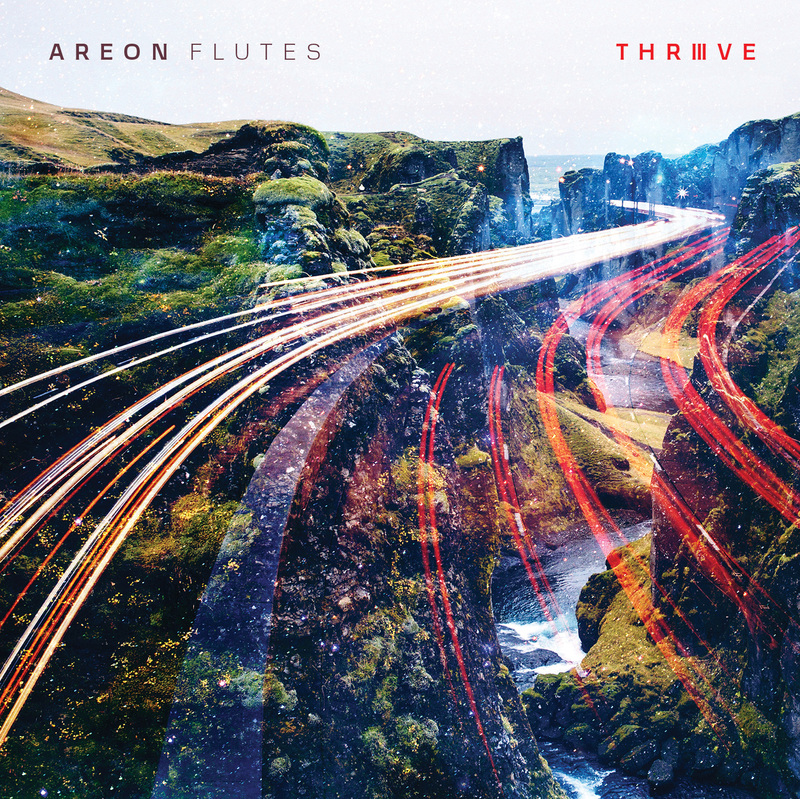 Thrive is a fun exploration of new music in varied styles for flute trio, a great display of virtuosity for all three performers, and an apt description of Areon Flutes' presence on the new music/chamber scene." "This is a stunning disc which redefines the ensemble of similars and helps to carve out a lasting place for the flute ensemble in the classical world. But even terms like “classical world” might be limiting as a way to describe this album. It is innovative but not really experimental. It is beautiful without being simple and it is virtuosic without being pure and empty showmanship. This is a substantial set of challenging works played with virtuosity and interpretive skill that will leave the listener stunned and unable to write a review (oops, sorry about the excuses again).